eBay shoppers are getting confused over the coupons eBay has been offering as a reward for buying from sellers enrolled in managed payments, and in some cases they are complaining to sellers who aren't enrolled in the program when they are unable to redeem the coupons. An eBay moderator blamed "deals" sites for the confusion. He was responding to seller in the forums who posted, "A buyer was complaining to me about using this coupon code, about it not working or something." This coupon in question ("PAYWCARD") was good for a 25% discount capped at $25 and linked to terms and conditions on this page - which shoppers shared on deals sites. The eBay moderator explained to the concerned seller that eBay didn't market the coupon, but rather, the coupon only appeared during checkout on eligible item. "We intended the code to only appear on specific items during checkout to help ensure buyers only saw it when purchasing eligible items. Unfortunately, some 3rd party "deals" sites began advertising the discount code. Many buyers obtained the code from these 3rd party sites, which created confusion amongst when they attempt to use the code on non-eligible items." It's disingenuous to blame deals sites, since eBay shoppers were the ones who posted the coupon codes on those sites. 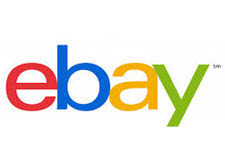 For eBay to design promotions and not expect shoppers to share them is either naive or lacking in common sense. Not only is it confusing to buyers and sellers, it's costly for eBay. In a thread on one deals site where an eBay buyer had posted the PAYWCARD coupon promotion, shoppers reported that when they called eBay to complain that they couldn't redeem the coupon, eBay provided them with $25 gift cards. In the end all sellers end up paying the bill with higher eBay fees. . . .
Pecadillo. On the Spectrum of eBay SINS this one is in the minor variety. One gets so used to their trying to FOIST half-baked un-baked, or just flat out AWFUL ideas onto UnWilling Sellers that this one falls into the category of ... Learn from this mistake and Go Sin No More. Will they? Are you KIDDING me? Nope. All about the NON-Acceptance of Managed Payments. Sellers don't Want it and Buyers don't see any REASON for them to want it either. 25 PERCENT off on qualifying purchases up to $25 on $100 or more spent? When eBay doesn't even OWN the products being sold? To me, this sounds like either desperation to see GROSS SALES NUMBERS on the board or another example of folks inside eBay (OK, still desperation) thinking that as the NON-Amazon NON-WalMart that they, eBay need to imitate the two Gorillas. Just another excuse from PASS THE BUCK GREEDBAY. Another day another lie. The wall is so full of garbage that has been thrown at it and slide off of it that greedbay is now down to passing the buck to some other wall. So funny. The clowns in the ivory tower are just so confused. Does anybody ever notice how these issues are never ever an Ebay problem? Ebay always manages to pass the blame on to somebody else because their programming is absolutely perfect !! I cannot wait until Wenig is finally shown the door with the rest of his crooked cronies and then Wall Street and all those wearing blinders will finally get a look at what the rest of us have seen for the past 3+ years. I wonder if GM will then also toss him off their BOD like they should have done right after making the announcement an hearing what a crook he is. Incredible what people will be believe if they want to. Spewing complete and utter nonsense when each one of their ridiculous ideas blows up. Even the all red eBay. Idiots, it's BLACK Friday that's coming up. You could have gotten away with that one. Maybe they are just sharing where there business is. Permanently in the red. OMG, only ebay would complain about one of their promotions being spread around the web to potential buyers. OMG, can you shake your head? How on earth could you be so stupid... EXACTLY what marketing is supposed to do, getting the word out, people talking about your site, and you are not smart enough to appreciate that.. OMG. From fidget spinners to Amazon seller theft, it is always someone else's fault. eBay, naïve, disingenuous, lacking common sense? That's impossible, they set the standards for sensibility, ingenuity and common sense! it has to be someone else problem, fleacebay says that they are the greatest tech company ever. @Rexford - I was just about to comment on blaming fidget spinners. They can't use that again, so deals sites are the scapegoats this week. I'd already forgotten about the Amazon lawsuit; I guess they figured that was good for a few headlines over a couple of days, and now they need talking points about someone or something else that's responsible for their current problems. I'm on many of these deal sites. Often people report great sales with a coupon code - so everyone flocks there only to find out it is a targeted code and not one the general public can use - so yes buyers and the deal sites are responsible for allowing something to be printed without looking into it. On this one I side with Ebay. There is nothing wrong in offering a targeted code to those already enrolled in managed payments to entice buyers to shop with specific sellers. No different than Kohl's offering a $10 off $50 code on housewares and then buyers complaining that they can't use it on clothing. People need to read the details of an offer. Ebay dangles “lower priced / similar products” in the middle of our listings and yet objects when buyers share a good deal to other venues. Hypocrites. Ebays target promos always inspire a cackle. Yes we need sales, but we do not want to give everyone a good deal, or advertise the deals on our site, or advertise our sales, or advertise our ebay bucks deals, or tell anyone outside the people ALREADY HAPPENING TO VISIT OUR SITE OR ALREADY READING OUR EMAILS about the sale. At least khols tells the entire multiverse about that housewares sale and makes it super duper easy to find the coupons. "if you find yourself in a company where you’re being asked to do something that you don’t think is right or you’re feeling uncomfortable about the leadership and the direction of the company, run, do not walk, for the doors"